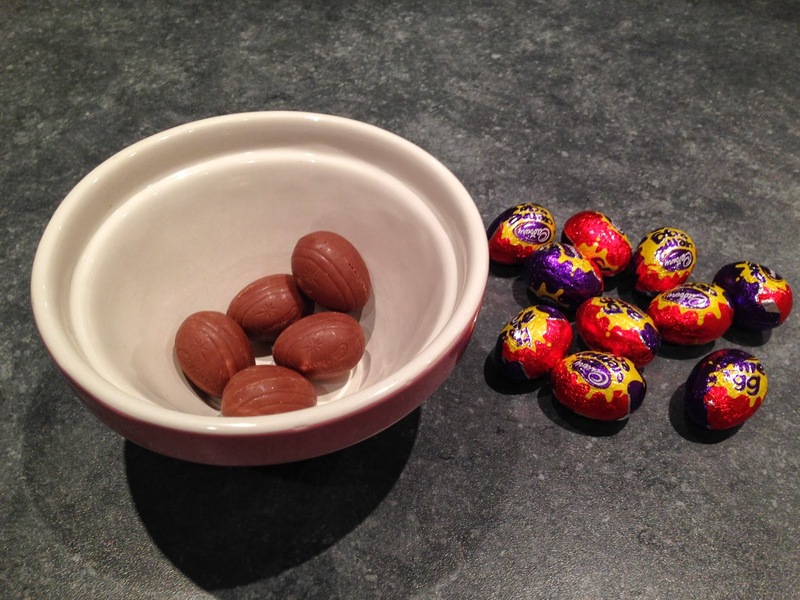 It's my favourite season of the year - Creme Egg season !! I wanted to create something really yummy and decadent with these little beauties - because they're not quite sweet enough on their own are they !! ha ha. 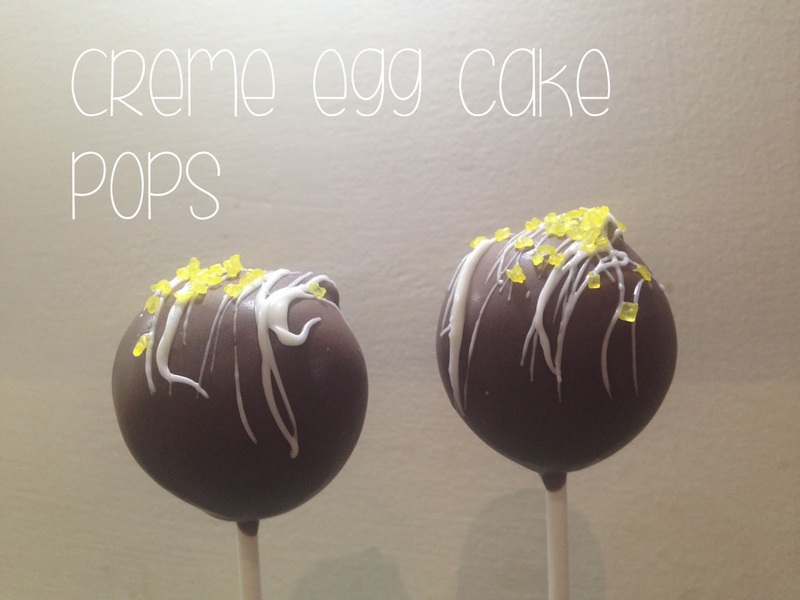 It took a while trying to decide on the name for these - we went from Gooey eggy cakey balls to surprise inside cake pop bites, so if you have any better suggestions please let me know. 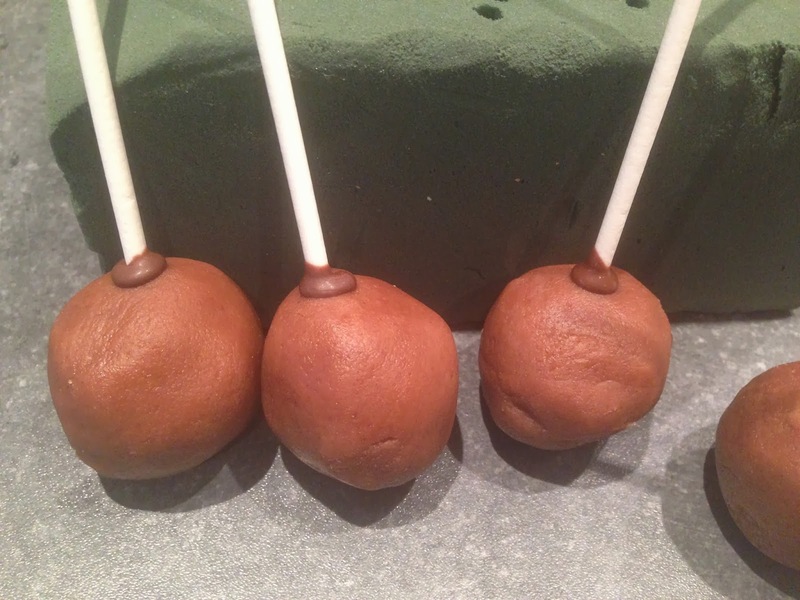 I would call them 'melt in the mouth, heaven in a bite, omg how delicious cake pop bites" But that's a bit silly. 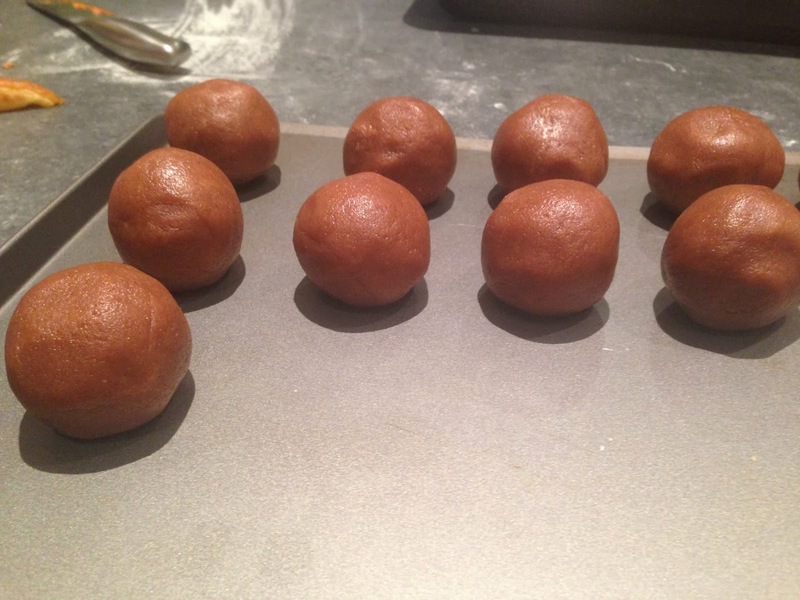 SO firstly I have to admit that the idea for these was to make Cake Pops BUT they were too top heavy that only about 3 worked in the end, but I actually, really love them as a bite too and they taste just as good ! (optional extra but very handy - flower oasis to stand cake pops in or cake cases for bites). So start by making the cake. (I use the fabulous Pop Bakery recipe). Cream the butter & sugar. Slowly add the eggs and sift the flour over and mix in with the cocoa powder. Pop in your greased cake tin and pop in the oven at 180oc for about 25 minutes or until risen and a knife comes out clean. Then separate the mixture in to equal amounts, I weighed them each at 30g. 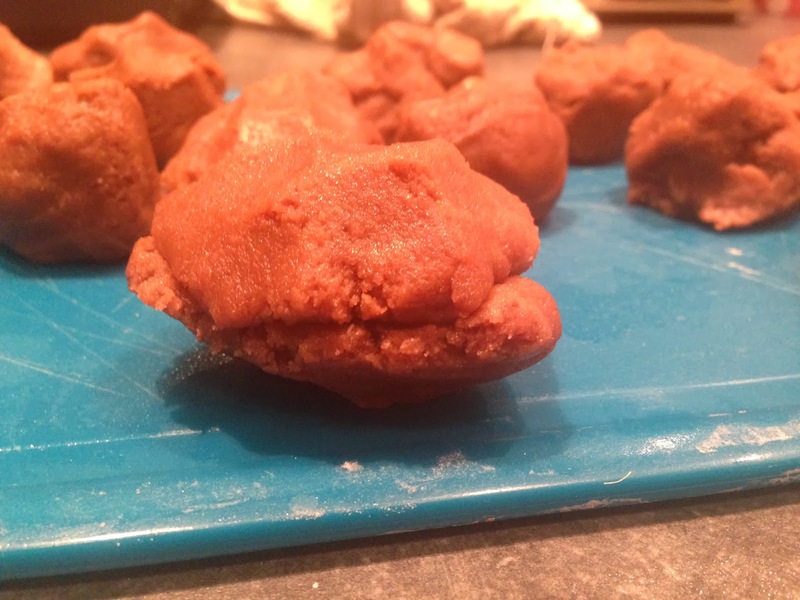 Then squeeze the mixture together in your hands and separate in two and put a mini creme egg in the middle. 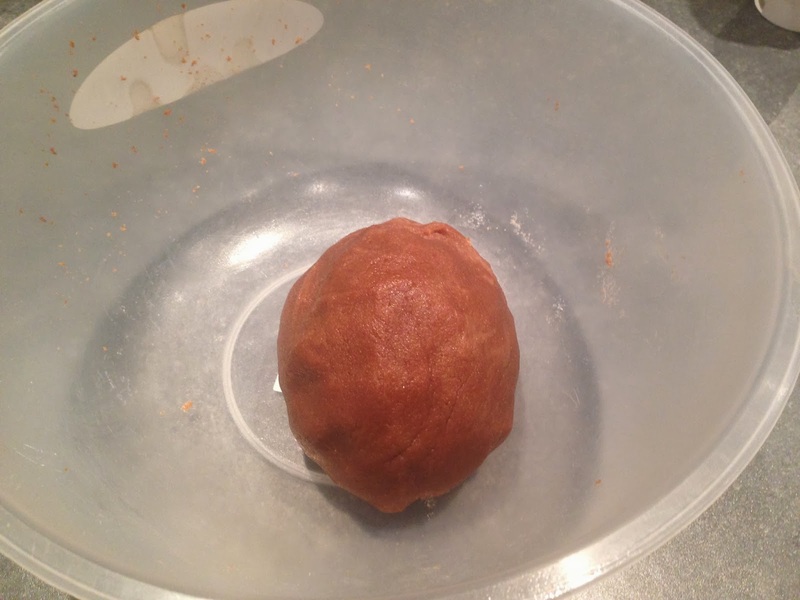 Then using your hands 'mould' the cake mixture around the creme egg and roll in to a ball. 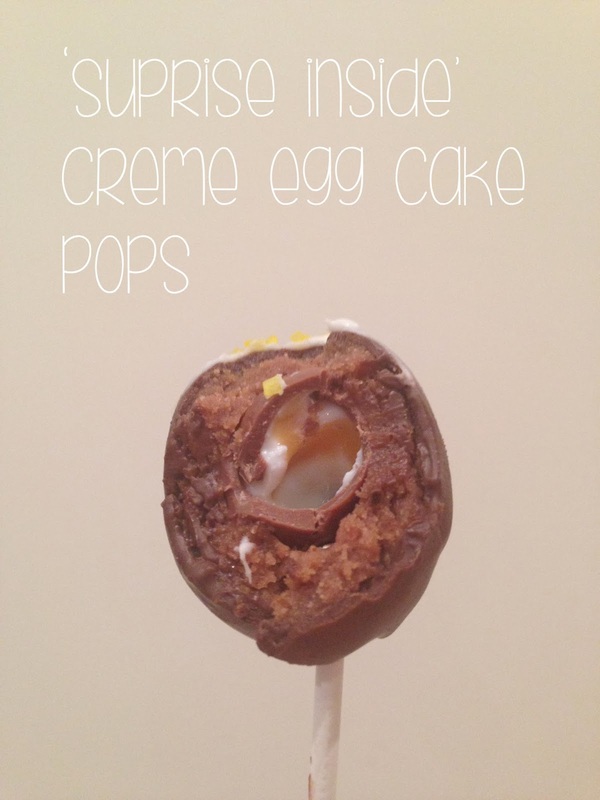 Once you have all your creme egg cake pop balls, pop them in the freezer for about 10 minutes. Now to prepare your candy melt coating. Following the instructions on the bag, but I use Wilton candy melts and you melt them in 30 second increments, stirring them in between until they are all melted. A fab tip from the Pop Bakery is to add some vegetable oil (a little at a time) to thin it out a bit. Don't add too much as it will be too runny, so try a teaspoon at a time. 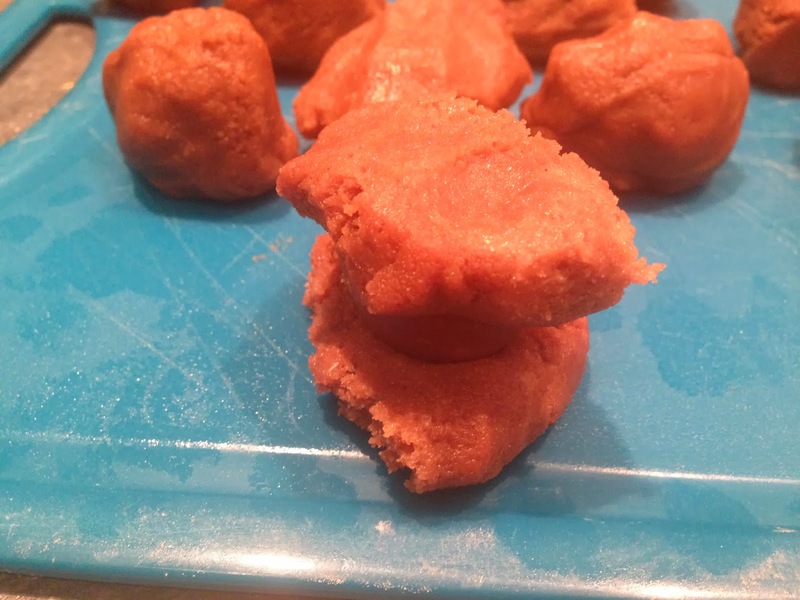 Grab your bites from the freezer and if you are attempting the pops, dip the end of your stick in the candy melts and push in to the cake ball. 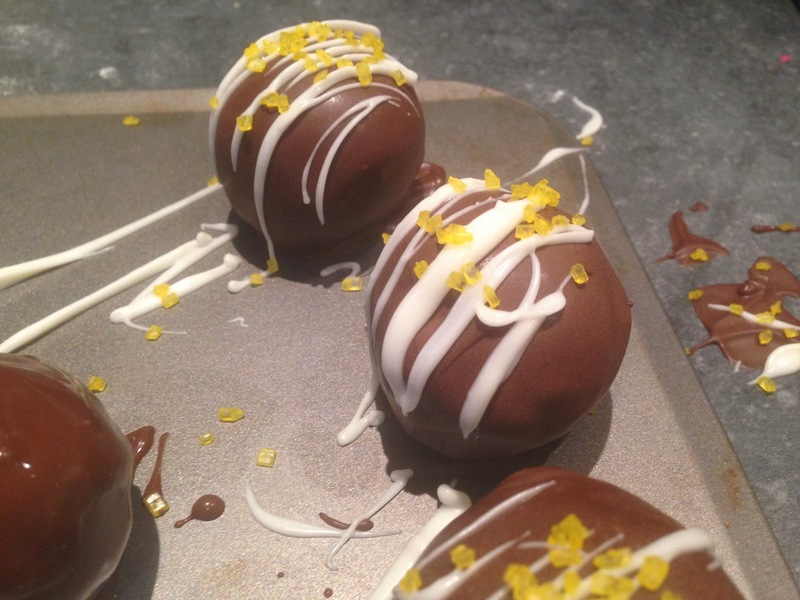 There isn't as much space to put these in because of the creme egg, so next time I might try making a hole in the egg and popping the stick in first, then adding the cake mixture around it. Pop them back in the freezer for 5 minutes then dip the cake pop carefully in your candy melts and pop in your oasis to set. 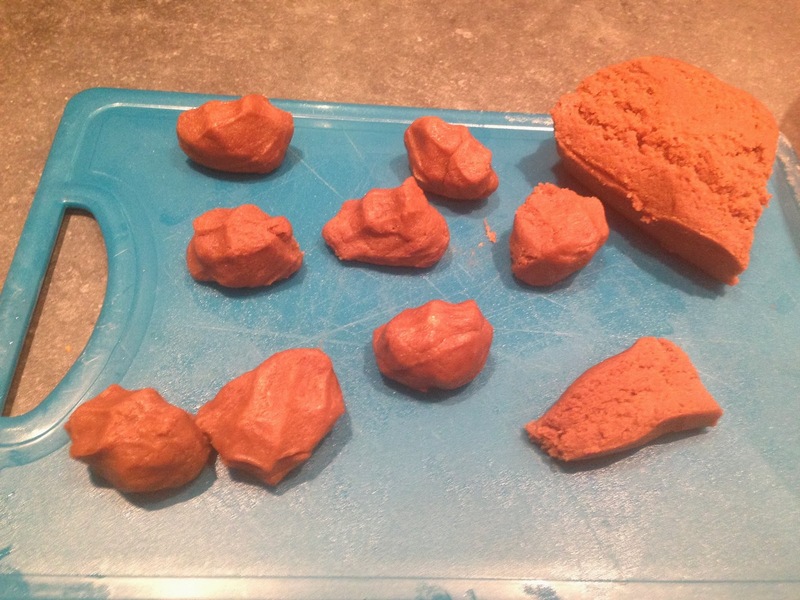 If you are doing bites - dip them in the mixture, spoon out and pop them on a tray to dry. Once the chocolate coating is dry, take your melted white candy melts and using a teaspoon, drizzle over the cake pop bites and top with the sprinkles. You will make a mess but that's fine - you can clean up after ! OOh and one that didn't last too long ! YUMMY. Seriously, how good do these look. Let them dry and then keep them in the fridge. If you don't eat the all in one go ! 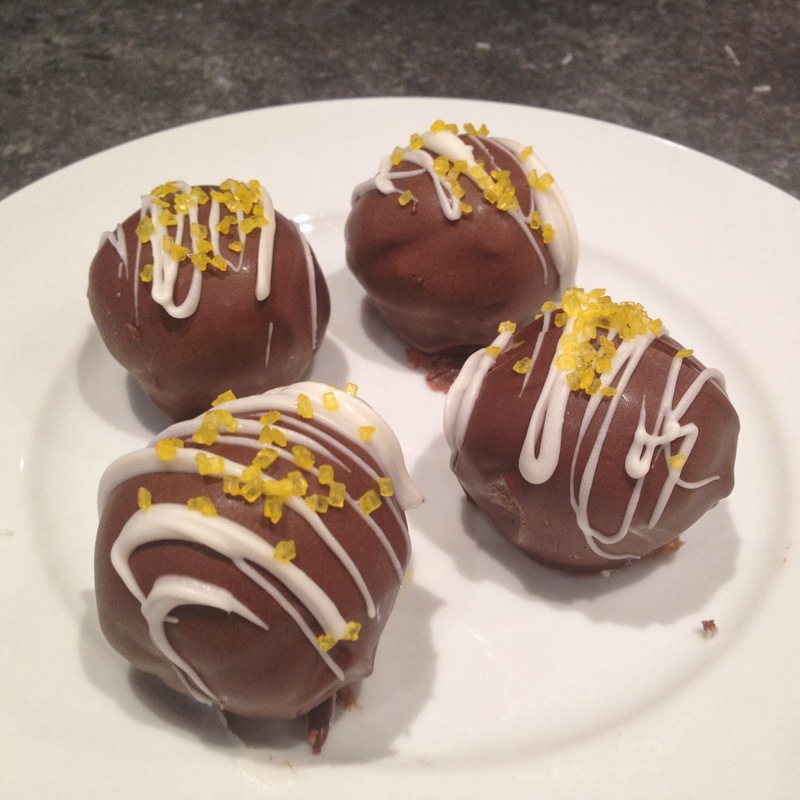 I should have put warning on these - DON'T MAKE if you are on a diet or don't want to make a whole load of mess !! 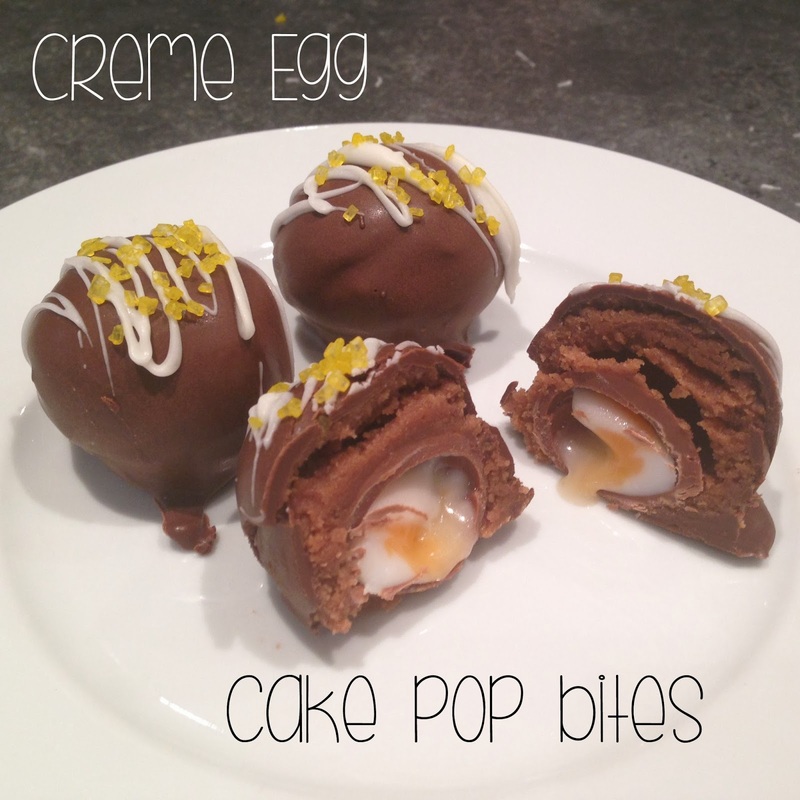 That said, life is too short and creme egg season doesn't last all year - so I really hope you give these a go this Easter time and do let me know and please share your pictures with me on instagram spotted_rose so I can see your fabulous creations !